Go Unrefined. Pick whole grains over refined grains. People who eat more whole grains tend to have lower LDL cholesterol and higher “good” HDL cholesterol. 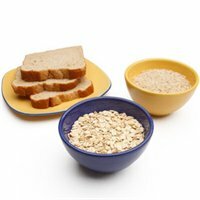 Plus, because whole grains have their bran intact they have more fiber, B vitamins, magnesium, zinc and other nutrients.